You’re a bit early! Over Farm’s real Christmas trees and wreaths will be back on sale from December 2019, from the roundhouse (follow the signs when you turn into Over Farm Market). Over Farm is conveniently located just one mile from Gloucester city centre, off the A40. 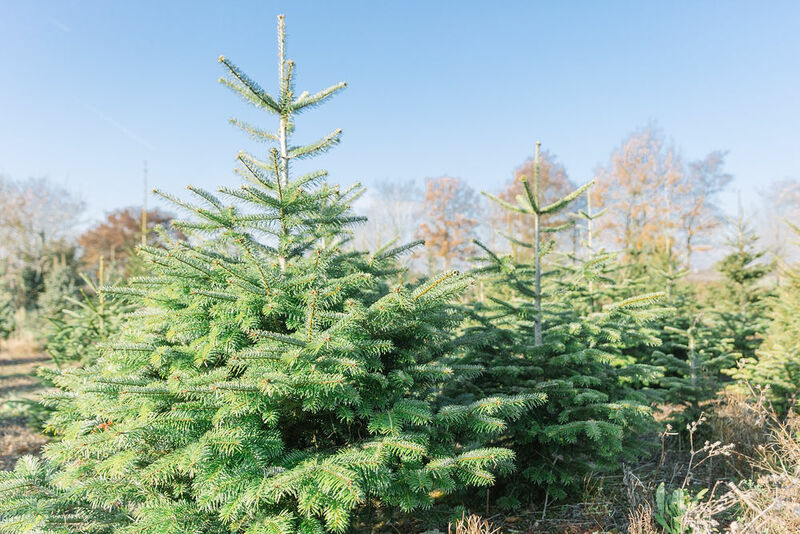 We offer Nordmann fir, Norway spruce, silver fir and fraser fir Christmas trees varieties, ranging from 2 foot to 10 foot and above, with many grown here on the farm. We are able to take card payments for Christmas trees. 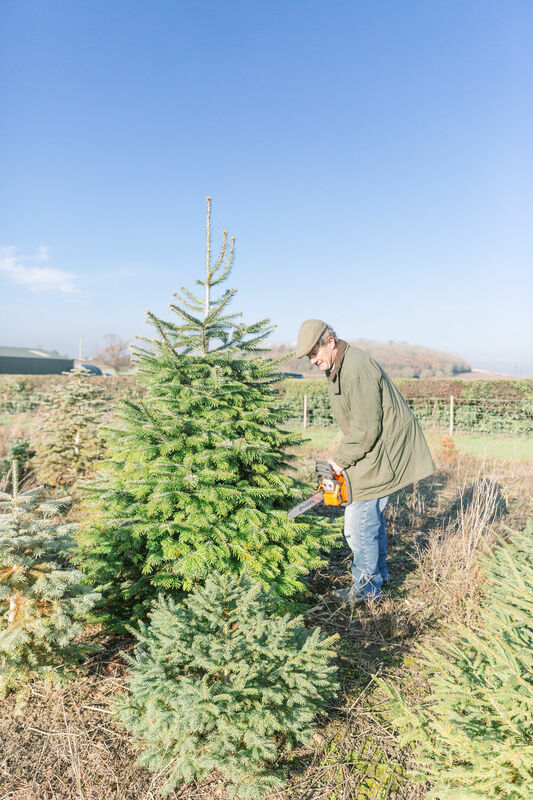 Our real Christmas tree selection is one of the widest in Gloucestershire and for your convenience, we also offer a Christmas tree delivery service in the local area. Please call us on 01452 341510 for more details and prices. We also stock a range of potted Christmas trees, priced from £19.50. If you are visiting the farm to choose your Christmas tree, please follow the signs for ‘Christmas trees’ on arrival to the farm shop and don’t forget your wellies! We have some very tall Christmas trees, at competitive rates, ranging from 8ft to 14ft. These trees are ideal for schools, clubs, pubs and those with tall ceilings and can be delivered – see our prices below. For those with a limited budget we have a selection of trees which experienced growing difficulties – for instance trees with a flat side (great if going against a wall) or trees with a twisted top. Please call us on 01452 341510 for more information. Handmade Christmas wreaths are also on sale at the roundhouse. They are made by Sue, using Over Farm Christmas trees which have had growing difficulties and therefore not turned into a handsome specimen! Sue’s wreaths are made using two types of foliage, the dark green Nordman fir type, which have large flat needles, and the Silver Fir, which have smaller sharper needles. The wreathes are then lovingly decorated with local cones, cinnamon sticks and various other decorations, and finished off with fancy bows. Battery operated fairy lights can also be added for that extra bit of twinkle. Lights can be added for an additional £6. Christmas tree shaped wreaths are also available for those who haven’t the space to put a real tree. These are £25 with fitted lights. Sue is happy to make bespoke wreaths too. If you would like to order one, please call us on 01452 341510.